Slots machines have always been the most popular and widespread type of game in any brick-and-mortar casino. And thanks to modern technology, they now enjoy the same status in the online world as well. Almost every online casino today will have at least hundred slot games available, with the best even offering over 1,000 games. The main appeal of these casino classics is found in their simple gameplay, but also the generous bonuses and cash prizes that await those with luck on their side. Unlike other skill-based casino games, online slots can turn people into millionaires with the help of nothing else but luck. If you too want to step into the vast and colorful world of online slots, here’s an in-depth guide into online slots, their features and variations, and everything else you need to know about these popular casino games. Online slots work much like the video slot terminals you can find in brick and mortar casinos. Unlike their mechanical counterparts, these machines use software to produce random combinations and outcomes. The software used in online slots and land-based video slot terminals is called the Random Number Generator (RNG). The RNG is basically a program that creates a random number sequence with long strings of digits when you first hit the spin button, and then uses that number to create a next number, and so forth. These numbers are then translated into random outcomes on the slot reels, to ensure that every time you press “Spin”, you are getting an entirely random combination of symbols. Thus, whenever you are playing a slot, you are betting on your luck. Each online slot has a pre-defined paytable which outlines the different symbol combinations that trigger the various prizes. To trigger a prize, you would have to receive that exact combination on a payline you’ve wagered on. Old slots had three horizontal paylines that you could bet on, but modern games can have hundreds of them that stretch horizontally, vertically, zig zag, or in any way possible. Whenever a winning symbol combination lands on a payline you’ve activated by wagering on it, you will win the prize. So, the more paylines you pay for, the higher your chances of winning cash, jackpots, or bonuses. This also means that when you play all paylines, you’ll also be burning money faster. This is exactly why games like penny slots eventually end up being £1 slots or slots with even higher minimums. But the good news is that you don’t really have to play all paylines to hit a great jackpot, as there have been cases where millions were won on very small bets. Classic Slots – also called Vegas/Vegas-styled slots, these slot games are mostly 3-reel games with a classic set of symbols, no 3D animations, and simpler paytables. 3D Video Slots – modern slots that usually have 5-reels, 20-100 paylines, and wide range of payouts, depending on their features. They also come with licensed themes like popular TV shows or movies and have cutting edge graphics, animations, and even cut-scenes. Jackpot Slots – slots with jackpot payouts. Progressive Slots – slots with a jackpot prize pool that’s filled up with portions of players’ wagers. Some progressive jackpots even amount to tens of millions. High Denomination Slots – slots with higher wager limits and higher rewards. Penny Slots – slots that you can play for as low as 1p per payline. Social Slots – casual slots that can be played with no money and offer social features like chatting with friends, sharing virtual rewards, etc. Multiple paylines – slots that have anywhere from 5 to 240 paylines. Each payline can be activated with different bet sizes to trigger different (bigger/smaller) prizes. No paylines – slots where you bet on reels 1-5 instead of different paylines across all reels. Thus, you can trigger a prize if a winning combination lands any way on your active reels. Slots with Scatter symbols – Scatters are symbols that trigger a bonus prize by landing anywhere on the reels, regardless of the payline. The minimum number of symbols needed is usually 3 and more symbols usually bring higher bonus prizes. Slots with Wild symbols – Wild symbols replace any other symbol except Scatters (usually) and can thus be used to tie other symbols into a winning combination. Slots with Bonus rounds – slots where you can unlock a hidden game with different prizes like free spins, cash, or progressive jackpots. To trigger a Bonus round, you will either have to get a number of Scatter symbols or a combination of Bonus symbols, if the game has any. Slots with Multipliers – when a slot has a multiplier, it means that it has different symbols or combinations that multiply your wins. The most common multipliers are Scatter and Wild symbols, which need to be on an active payline when you hit a winning combination. Some multiply the prize by 1x, while others go up to 20x or 30x. It all depends on the slot. Free Spins slots – slots with Free Spins bonuses. When you get a free spin, you are getting a free chance to win cash. The first thing to do is to find a slot game you like and read through the paytables to understand how it works. Almost every slot games has an information button marked with an “i” or “?” that you can click or tap to see the paylines, payouts, and read more about any other feature. Once you know your game well, all that’s left is to pick how many paylines you want to bet on, how much per payline you want to bet, and hit the spin button. You can also choose whether you want to manually hit the button or to have the slot automatically spin the next 5 spins or the next, 10, 20, and so on. There are also some slots that come with action-packed bonus rounds where you have to do more than hit the spin button. For example, NetEnt’s Blood Suckers will have you slaying vampires, while Microgaming’s Karate Pig will have you fight opponents to win belts (prizes). So, as a final step, it might be good to check out the bonus round rules as well. That’s all there is to it, really. The best way to ensure the game you’re playing is truly random is to check the casino’s license and audit certificates.  A license from a trusted authority like the UKGC serves as proof that the casino’s RNG was audited for randomness before the license was awarded. And apart from the license, some casinos also have their RNGs tested by independent auditors like eCOGRA, GLI, or iTech Labs. These agencies test the software and issue RNG certificates that you can check online. Most online slots have the house edge represented as the RTP (Return to Player Percentage). So, for example, if a slot has a 96% RTP and you make 100 bets of £1 each, you can expect to lose £4 in the course of those bets. However, it’s important to understand that the house edge is calculated over time, so the more you bet, the lower it becomes. You should also keep in mind that most casinos can adjust the house edge. Thus, if you see a slot that comes with a default RTP of 98%, for example, this doesn’t mean that the game will have the same RTP in every casino you play. A fair RTP is considered to be anything from 98% and up. Luckily, almost every casino publicly discloses their RTPs under a “Fair Game” menu on their website, or a similar section.